Rafa Benitez cemented himself in Liverpool folklore by guiding the club to the remarkable Champions League triumph of 2005 – and he very nearly added a Premier League title four years later. 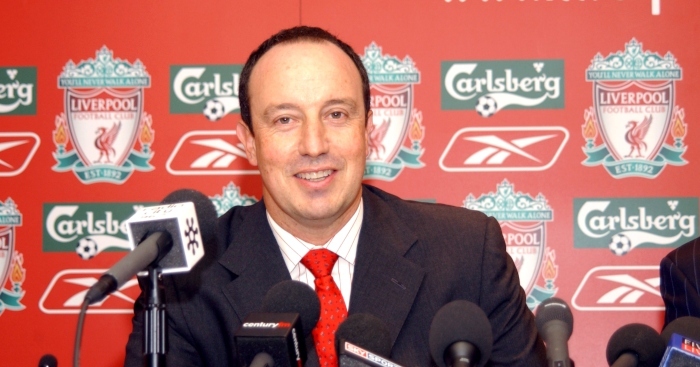 Gerard Houllier did a fine job in phasing out the Spice Boys and largely building the team which Benitez led to glory in Istanbul, but the closest he came to delivering the title was in 2001 when the Reds finished seven points behind Arsenal. We’ve taken a look at the last Liverpool team under Houllier and compared it to the Reds’ XI for their final game of arguably Benitez’s best overall season in 2008-09, when they finished second with 86 points, just four behind Manchester United. Jerzy Dudek became Houllier’s trusted No.1 after joining Liverpool from Feyenoord in 2001. Benitez kept faith with the former Poland international in his debut campaign and was rewarded by the goalkeeper’s heroics in the Champions League final victory over AC Milan. But the Spaniard was ruthless in summer which immediately followed the triumph, signing fellow countryman Pepe Reina from Villarreal, who remained his first-choice stopper throughout the rest of his tenure at Anfield. 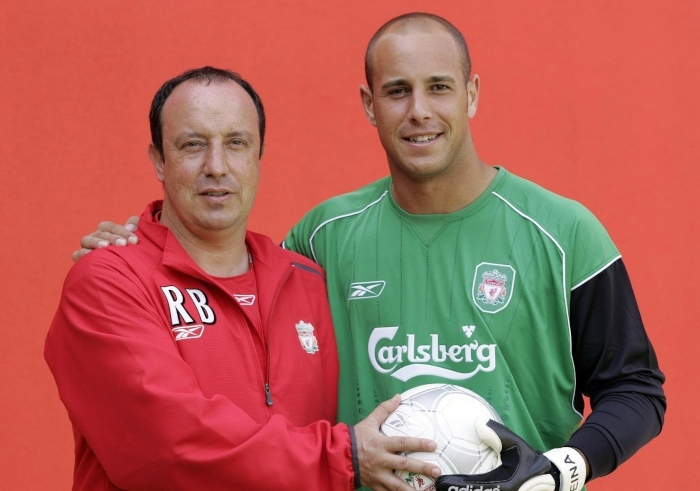 The 2008-09 season was something of a landmark year for Reina, who played every minute of Liverpool’s league campaign, kept 20 clean sheets and brought up 100 clean sheets for the club. Shortly after that season’s conclusion, Benitez paid the ultimate compliment to Reina by comparing him to Liverpool legend Ray Clemence. “Goalkeepers will make mistakes at some point – that is clear,” he told the Liverpool Echo. “But when we talk about the value of Pepe here, you really have to think only about Ray Clemence. The duo were reunited at Napoli in 2013-14 when the Italian side finished third in Serie A and won the Coppa Italia. Liverpool’s back four for Houllier’s final match in charge, a 1-1 draw with Newcastle United at Anfield, consisted of Steve Finnan, Jamie Carragher, Sami Hyypia and John Arne Riise. All four players featured prominently under Benitez for various periods, and the last match of 2008-09 saw Hyypia come off the bench to make his farewell appearance for the Reds in a 3-1 victory over Tottenham. “It’s a little bit emotional and a little bit sad today,” Benitez said after the match, but in truth Hyypia had become surplus to requirements with Carragher, Daniel Agger and Martin Skrtel all ahead of him in the pecking order. Agger and Skrtel started in central defence against Tottenham, with Carragher at right-back. Alvaro Arbeloa was the more common option at full-back, allowing Carragher to play in the centre, but the Spaniard was missing against Spurs. At £75M, Virgil van Dijk will cost about as much as Liverpool paid for Lovren, Matip, Klavan, Gomez, Agger, Skrtel, Sakho, Toure, Ilori, Kyrgiakos, Coates & Pellegrino combined (and Carragher, who cost nothing, was better than any of them). Comparing the midfields from the two matches feels like looking at two teams from completely different eras, despite there being only five years between the fixtures. Houllier’s last midfield comprised of Danny Murphy on the right, Steven Gerrard and Didi Hamann in the middle and Harry Kewell on the left. Murphy was sold the following summer while Hamann and Kewell had contrasting fortunes. The former Leeds winger was substituted after just 23 minutes of the 2005 Champions League, which summed up his Liverpool career quite nicely, whereas Hamann’s half-time introduction helped inspire the Reds’ famous comeback. In comparison, Benitez set up with two holding midfielders in Xabi Alonso and Javier Mascherano, with three more attack-minded players ahead of them in Dirk Kuyt, Steven Gerrard and Yossi Benayoun. There is an argument this could be considered Liverpool’s best midfield of the Premier League era, with Alonso and Mascherano offering the perfect blend of craft and tenacity, and the more advanced trio all providing qualities which complemented each other. Remarkably, that midfield may never have taken to the field for Liverpool that season had Benitez had his way, with the manager keen on replacing Alonso with Gareth Barry. “He was a strong character, loved by the fans, so when Benitez wanted to sell him in 2008 there was uproar and there was an episode during a pre-season game with Lazio at Anfield when the Kop sang, ‘You can stick your Gareth Barry up your arse,’ about his potential replacement,” Carragher wrote for the Daily Mail in 2017. “Rafa’s intention was to off-load Xabi for £30million and buy Barry for half that price. The appeal of Barry was that he was English and could play in two or three positions. But, believe it or not, only Juventus and Arsenal were keen to take Xabi. 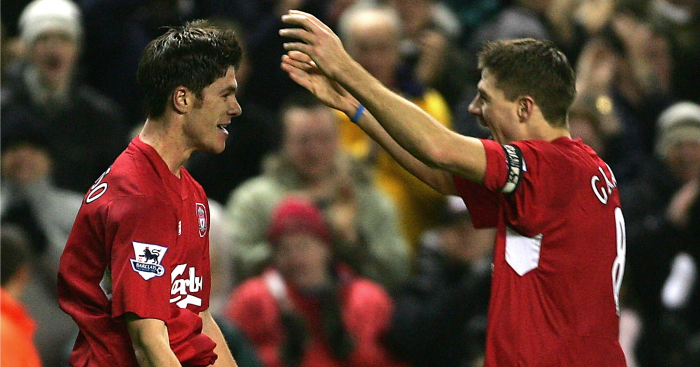 Alonso did eventually leave Anfield following the conclusion of 2009-10, but his replacement, Alberto Aquilani, failed to live up to the standards set by the Spaniard and Liverpool suffered as a result. His reputation has suffered in recent years, but Michael Owen was f*cking frighteningly good for Liverpool, while Emile Heskey provided an efficient foil as his partner for both club and country. But after Houllier’s final match, both players were sold as Owen joined Real Madrid and Heskey left Anfield for Birmingham City. Benitez signed Djibril Cisse in his first summer in charge and Milan Baros returned rejuvenated from an impressive Euro 2004, but things started to get really serious when Fernando Torres joined Liverpool in a club-record £20million deal in 2007. 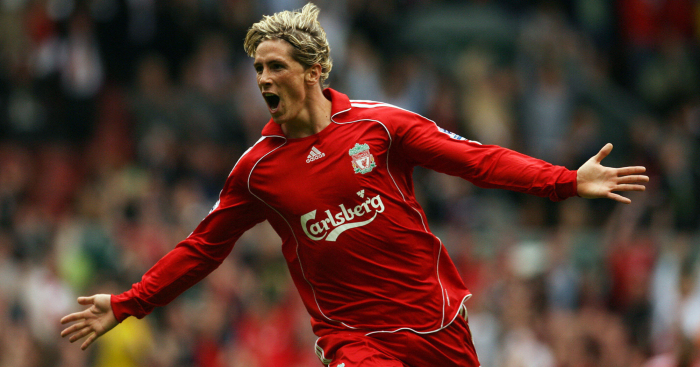 Torres opened the scoring against Tottenham in that final match of 2008-09 and, like Owen, was f*cking frighteningly good for Liverpool when at his best.